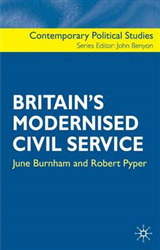 This book is concerned with the civil services of the United Kingdom, examining their characteristics and trends since 1970. It provides a map of the British civil service beyond Whitehall, giving an individual country-by-country analysis of the civil services of the UK. 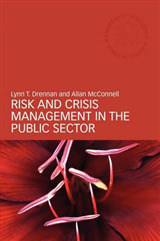 It considers the implications of the changing nature of the civil services for our understanding of British governance, especially in the context of the public sector management reforms of the 1980s and 1990s and the impact of constitutional change chiefly devolution since 1998. 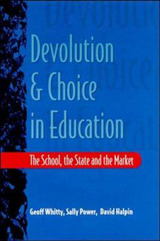 Given that devolution has been characterized as a process rather than an event, the book brings to bear evidence of how existing longstanding differences within some parts of British public administration may come to be replicated elsewhere in the UK. 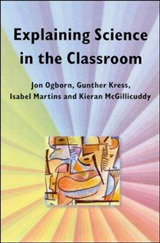 The authors also explore two controversial propositions. 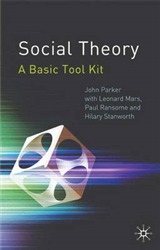 First they ask whether Britain is moving from the unitory, strong executive of the 'Westminster model' to a 'differentiated polity' characterized by institutional fragmentation. Second, they consider whether an unintended consequence of recent changes is a 'hollowing out of the state'. Is the British executive losing functions downwards to devolved governments and special-purpose bodies and outwards to regional offices and agencies with a resulting loss of central capacity? Substantial empirical data both quantitative and qualitative has been amassed here in order to give answers to these questions. 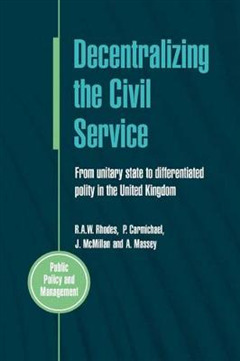 Decentralizing the Civil Service assesses the UK's changing civil services in the wake of two decades of public sector management reforms and New Labour's constitutional reform programme, most notably devolution to Scotland, Wales and Northern Ireland. This assessment has significant implications for how we view governance in the UK.